I hope the above title is true more of the characters in the Bible stories this week than of you or me, although there are plenty of days when I worry about one of us. But I’m thinking particularly of James and John here, who, having watched Jesus ministry of healing and grace for some time, think the reasonable response to being rebuffed is the wholesale destruction of a village. Clearly, they missed the point, and Jesus let them know in no uncertain terms, although we don’t have a record in Luke of what exactly he said. Kind of wish we did — I bet it was snappy! Jesus goes on to challenge a series of would-be disciples on their assumptions and hesitations about discipleship, so they wouldn’t miss the point, thinking it was something other that what it is. Paul, in Galatians 5, continues trying to straighten out that group’s misunderstandings, too, by painting the contrast between the law and the Spirit, the works of the flesh and the fruit of the Spirit. It seems like we’re all very often right on the brink of missing what Jesus means for us to do and be. But when by God’s grace we get it right, it’s a thing of beauty. So with humble hopes, here are our notes on this week’s attempt to podcast somewhere near the point. 2 Kings 2:1-2, 6-14 [02:00] – This is the end of the line for Elijah and the beginning of ministry for Elisha (mind your diction!). In Eye Smart we trace their movements from Gilgal to Jordan and invite you to trace your own congregations movements in place and mission. As Elisha takes up the mantle of his master, in Body Smart we think about meaningful “hand-me-downs” from important people in our lives. When the fiery chariot and horses separate the two prophets, Elisha sings out in awe. We offer a couple appropriately themed songs in Music Smart. For People Smart, we continue thinking about those important people, our mentors, who passed along not only a mantle but lessons of life, faith, hope, and love. Galatians 5:1, 13-25 [09:03] – In Paul’s ongoing struggle to correct the church of Galatia, bringing them back from a foray into works righteousness to a reliance on Christ in faith, he calls them to live in the freedom given to us in Christ as we become Christ’s servants. He also contrasts the ways of the flesh with the ways of the spirit (or Spirit). We suggest a demonstration of that contrast with some lottery technology for Eye Smart. 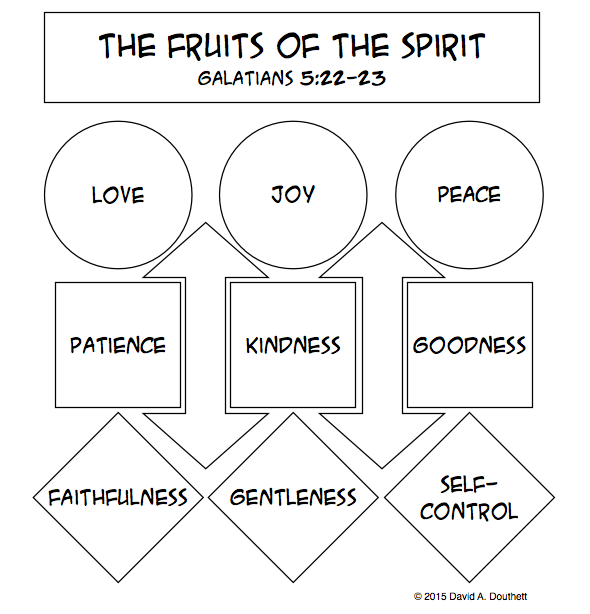 In Math Smart we identify some of the interrelatedness of the nine fruits of the Spirit. Many folks have taken a shot at putting the nine fruits to music, so we offer a Music Smart sampling thereof. Turning our attention inward for Self Smart, we invite you to consider what sort of fruitful harvest is coming up in your life. Luke 9:51-62 [20:35] – As mentioned above, Jesus’ trip through the hostile territory of Samaria provides a real teachable moment when James and John want to punish a village for not being hospitable. Then Jesus pokes three would-be disciples in the metaphorical eye to make sure they are thinking clearly about the venture of following him. Speaking of eyes, in Eye Smart we find that what you look at is where you go, whether your hand is on the plow or the throttle. Jesus provides some fodder for Nature Smart as we consider fox dens and bird nests and the comparative vulnerability of following the Son of Man. Our People Smart offering here is more whimsical than practical, perhaps, but captures some possible responses to the “things that make you go, ‘hmmm'” in this passage. Finally, we let Jesus’ point to all his disciples sink in, as we consider in Self Smart just what the cost of discipleship really is. Homemade (obviously) balance scale. 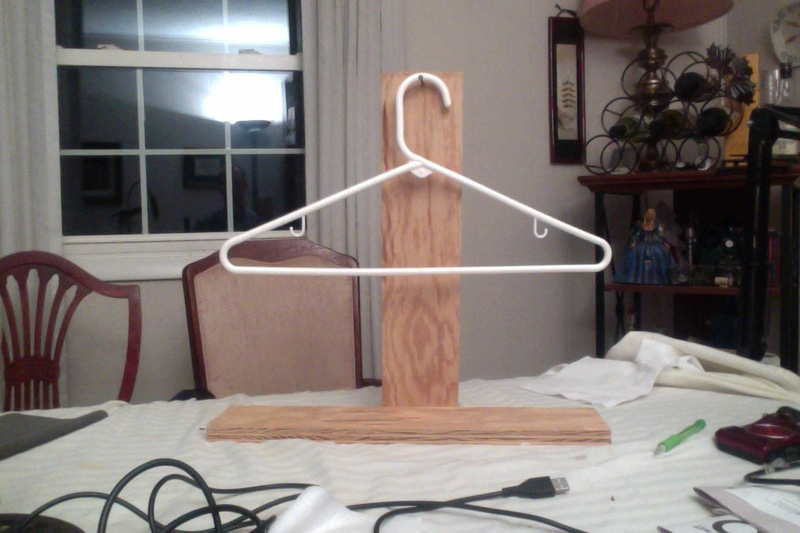 A couple boards screwed together, a nail at the top, plastic hanger. Hang stuff from the hooks or ends. Fruits of the Spirit songs? Sure! Works of the flesh songs? Well, okay, but you asked for it.